One of the most talented Public Works teams in Queensland history was responsible for the design and construction of the 1903 women's prison. From the 1890s to the 1920s they produced a substantial number of high quality public buildings. It is likely that William P Hendry was responsible for the design of this building, and Chief Draftsman Thomas Pye had a leading role during the construction phase. The colonial government had ordered plans to be drawn up for the new prison in 1898. 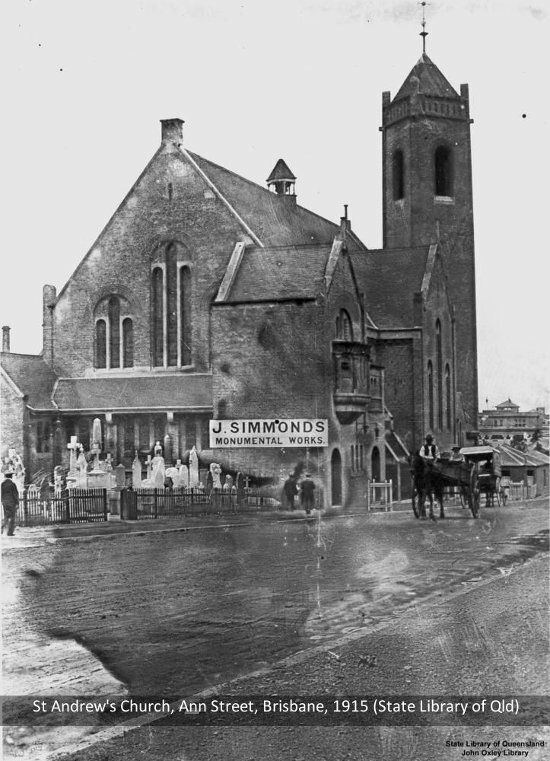 The construction company that actually built the Female Division was A. Lind & Son, who also built St Andrews Church on Ann Street, Brisbane. The government accepted their tender of £18,795 and construction began in October 1901 (which explains the cellblocks being marked '1901') and work finished in June 1903. In the current age of disposal architecture, one of the more striking aspects of 2 Division is the attention to detail and the solidity of the original red-brick buildings. Building contractors even complained during construction about the trouble and delay caused by the tuck-pointed brickwork. It is this quality of workmanship, however, that ensured the physical survival of the buildings to this day, and the brickwork will no doubt last for a long time to come. The prison was proclaimed on 30 September and opened on 3 October 1903. 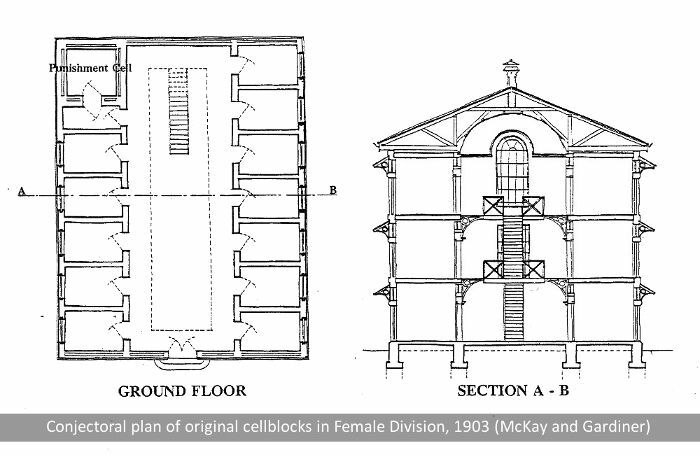 The cellblock and workshop buildings of the new prison followed the British ‘radial’ design that was popular with many prison architects of the day. Access to each cellblock was limited to one doorway located on the end wall of the block and opening into the central hub of the complex. This design reduced the presence of blind spots or areas outside surveillance, and made prisoner movements about the prison predictable and controllable. This design was also used in other prisons, such as the one at Townsville. One cause of delay in the construction of the 1903 prison was the use of tuck-pointing in the brickwork. 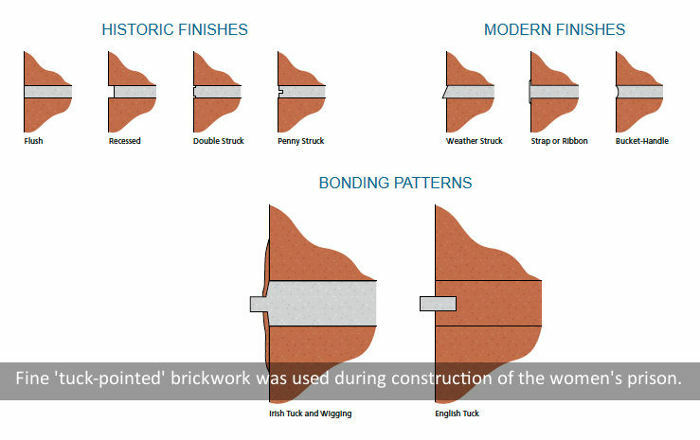 This method uses two contrasting colours of mortar and brickwork, one colour matching the bricks themselves, to give an artificial impression that very fine joints have been made. It requires great skill and is therefore expensive. 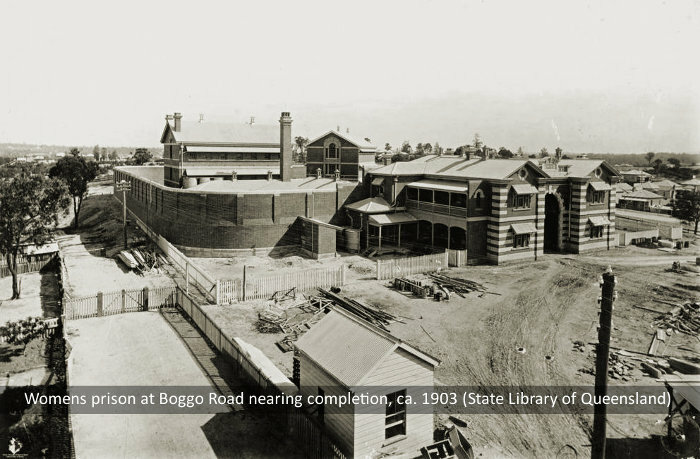 Its use at Boggo Road also underlines the care and pride that the Queensland Government once took in the construction of its public buildings.